Event Organizers Kristie Parton, Community Service Chair for the American Student Dental Association and Christine Van Grossbeck, both third-year dental students, along with Dr. Russell O. Gilpatrick, Professor and Dean of the College of Dental Medicine at Midwestern University on Super Sealant Saturday 2013. 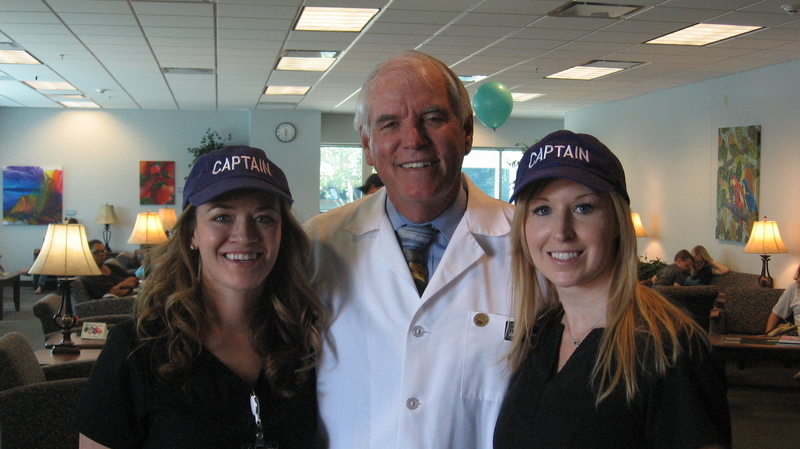 The Delta Dental of Arizona Foundation, founded in 1997 with a mission to promote oral health and prevent dental disease in underserved and uninsured communities. This mission is woven through all aspects of Foundation activities – from daily dental supply donations to schools and non-profit organizations to the annual responsive grant-making process to the fundraisers that are executed to benefit the Foundation each year. Every step, each day for the Foundation is taken with the thought of fulfilling this mission of the organization. One of the many deserving organizations chosen to receive a grant was Midwestern University’s College of Dental Medicine for their Super Sealant Saturday program. It was the third year of the program and the third year of support from Delta Dental of Arizona Foundation. Super Sealant Saturday was held at the University’s Dental Clinic on October 19, 2013 and is entirely organized by the students in partnership with the dental college. The goals of the event are two-fold: first, the University aims to instill in future dentists the understanding and need for dental education and prevention, especially in underprivileged and underinsured communities; second, to improve oral health through direct education and preventive services. Sealant and fluoride varnish were provided, in addition to a mandatory 15-minute session in English and Spanish covering dental hygiene instruction, diet, water fluoridation and lifestyle decisions. Scientific evidence shows that dental sealant programs reduce decay in school-aged children by more than 70 percent, as documented in the Surgeon General’s 2000 report, and is considered a best practice service. This view is fully supported by Delta Dental of Arizona Foundation through its efforts throughout the state of Arizona including Maricopa County Department of Public Health’s Office of Oral Health Sealant Program, and Mohave Community College Dental Program’s partnership with Boys & Girls Club of the Colorado River, among others, such as Super Sealant Saturday. This event not only fulfills the mission of Delta Dental of Arizona Foundation, but furthers the education of future dentists here in Arizona — and that makes everyone smile! To make your donation, visit our Foundation website.